If you’re going to rob someone, best make sure they’re not a UFC fighter. That’s a lesson some ‘poor’ thug in Rio de Janeiro learned when he accidentally took on strawweight Polyana Viana as she sat outside her apartment building waiting for an Uber. Viana shared the experience with MMA Junkie’s Fernanda Prates, which went down on Saturday night. It turns out the man’s gun was just a cardboard cutout. Once his so-called weapon was revealed, the would be robber basically gave up. This isn’t the UFC fighter’s first brush with crime fighting. When she lived in Belem, Viana said she took on two men on a motorcycle who once again were trying to get at her cell phone. Viana is 2-0 against muggers and 10-2 in her MMA career. 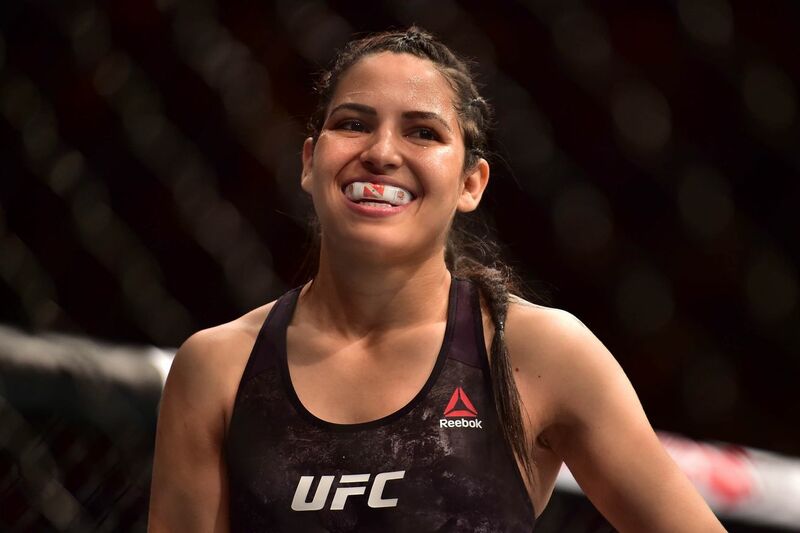 Currently sitting at 1-1 in the UFC, she kicked her promotional run off with an impressive first round submission win over Maia Stevenson before dropping a decision to JJ Aldrich at UFC 227. Viana is currently without a fight … so watch out, Rio criminals.